An online marketplace is a type of ecommerce business that can be rewarding to create, however, it comes with its own unique set of challenges. If you’ve ever thought of starting an online marketplace like the marketplaces you see online already such as Amazon, Etsy, or Airbnb then this is the perfect article to start off with. In this article, you’ll learn all about online marketplaces, what they are, how to start one and how to successfully run one. 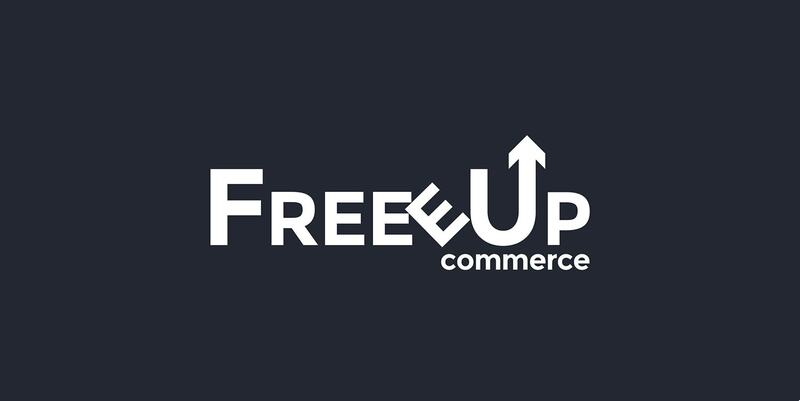 Ready to get started bringing an online marketplace to life? Read on. An online marketplace is an ecommerce store where multiple merchants can sell goods or services to customers. 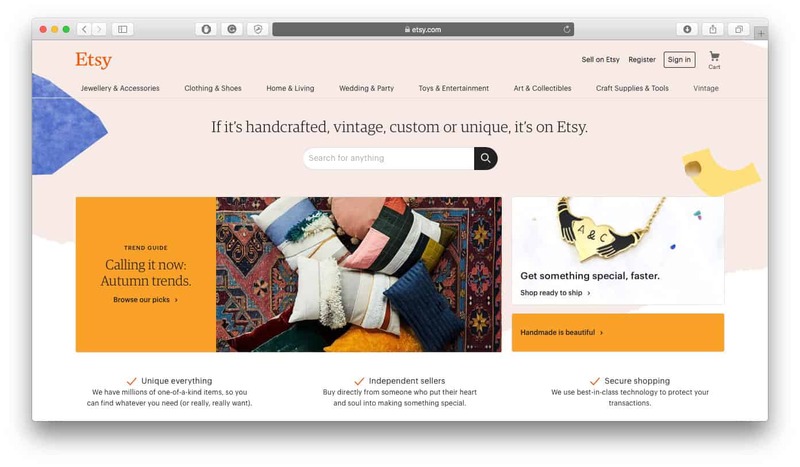 Examples of online marketplaces include Amazon, Etsy, Airbnb and eBay. These online stores are considered to be online marketplaces because there are many merchants (hundreds of thousands, in fact) who can sell their products to the customers that browse the website. Traditional ecommerce stores sell the goods and services of one brand, but not online marketplaces. Since an online marketplace has many merchants selling their products on the store, they have a greater product offering which can draw more visitors to browse the website. One of the main advantages of online marketplaces is that they draw in lots of digital foot-traffic, which can mean greater exposure for the merchants who sell on the online marketplace. What unites all the sellers on an online marketplace together is that there’s one checkout process. When customers shop on an online marketplace, they don’t need to click away to different websites to complete the transaction, they can purchase from many different merchants on the marketplace at once, even if the merchants aren’t associated with one another. When customers make purchases from online marketplaces, the merchants they purchase from get a notification that someone has purchased their product, and then each merchant can individually ship and send the customer the products that were ordered from them. This means that although a customer can complete just one transaction on an online marketplace when purchasing from multiple different sellers, their products will be shipped from each seller individually meaning they’ll receive a shipping package from each merchant they ordered a product from. Essentially, for consumers, shopping on an online marketplace is like shopping from several different ecommerce merchants at once, while being able to pay all the merchants in one transaction rather than in many transactions. Another thing that unites online marketplaces together is that they usually are focused around one particular niche. Amazon, for example, started as an online marketplace of booksellers. 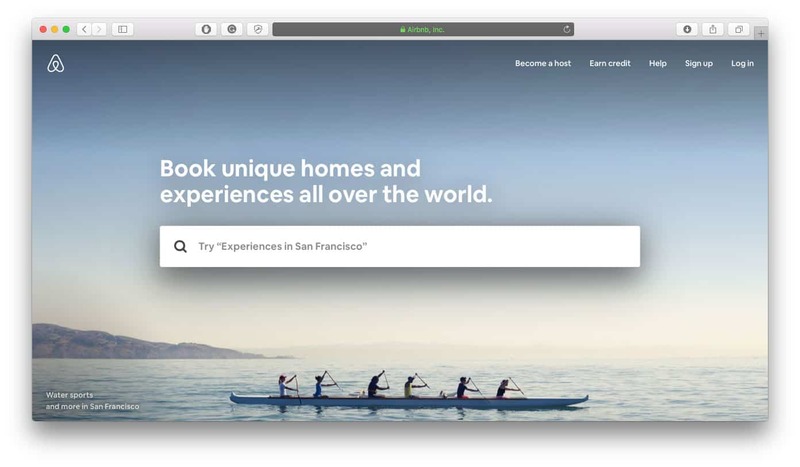 Airbnb started as an online marketplace to rent rooms in San Francisco. Online marketplaces are generally more successful when they center around one niche because it gives consumers a reason to shop there and when they do shop there, they know what to expect from the merchants selling on the marketplace. An online marketplace can also be referred to as a “Collaborative Economy” or a “Sharing Economy” because it’s usually made up of merchants who work together to share or sell their idle assets on a community-accessible marketplace. Online marketplaces are becoming more mainstream for several reasons: First, consumers are more willing to trust online marketplace platforms to protect them from fraudulent merchants. Second, online marketplaces are a convenient way for merchants to earn revenue on goods or services they may have sitting idle, and finally, online marketplaces generate a sense of community where both merchants and consumers can support one another in niche markets that are important to them. We see this, in particular, on the online marketplace Etsy where merchants and consumers alike believe in supporting hand-crafted, small-batch, homemade and artisan products. One of the main reasons to start an online marketplace is to either help merchants sell goods or services they don’t have a use for anymore — or don’t have a use for at certain points of the year — or to help consumers get access to goods or services more easily. By creating an online marketplace, you create a place where users can rent or sell goods, spaces or services online at a cheaper price, better quality, or in a more convenient way. Every successful online marketplace does this in a way big-box retailers can’t, which is what makes them competitive players in the ecommerce industry. Creating an online marketplace is also an ideal option because you don’t have to own any inventory to run one. This makes them an attractive option for entrepreneurs who want to provide a service or solve a pain point without investing a lot of their own capital into the business. Online marketplaces acquire inventory from the merchants who sell or rent their goods or services on the marketplace, so it’s not solely up to the founder of the marketplace to source inventory. If there’s a niche that exists where all the products or services can be sold or rented online from merchants to customers in a way where big-box retailers can’t provide the same service at a cheaper price, more conveniently or in better quality, then you should start an online marketplace that can supply this to consumers. Marketplaces don’t always work, but there are likely still many circumstances that exist today where the online marketplace business model can still succeed. Creating an online marketplace can be a bit of a challenge. There’s plenty of online literature documenting how ecommerce entrepreneurs can start their own online businesses, but those online businesses tend to focus on solo entrepreneurs who are interested in selling their own products exclusively on their own websites. That’s not how online marketplaces work, so another approach must be taken. First of all, the success of your online marketplace will be partly dependant on the actual online platform you use to create it. Fortunately, you don’t have to hire a web developer to create your online marketplace website as other options exist. The best online marketplace platform we’ve come across, and the one that we recommend building your own online marketplace on, is Sharetribe. Sharetribe is well-recognized in the ecommerce industry as being the most reliable, user-friendly and cost-effective way for entrepreneurs to start their own online marketplace. With their software, any entrepreneur will be able to build a well-designed online marketplace in the most efficient and secure way possible. If you were to create an online marketplace from scratch with a team of web developers it would cost you thousands of dollars to build your website, but Sharetribe doesn’t cost nearly as much and you’ll be able to have your online marketplace up and running faster than if you were to completely have it built from scratch. There are many other aspects of building an online marketplace that are challenging — which we discuss in further detail later on in this article — so don’t make setting up your actual online marketplace website one of those things. Keep things simple, streamlined and efficient by starting your online marketplace on a hosted platform like Sharetribe. Successful online marketplaces are typically successful because they hone in on one particular niche to service the needs of the merchants and consumers within that niche. This means that in order to create an online marketplace, you’re going to have to select a niche market that your online marketplace will cater to. This is an important step in the process of starting an online marketplace because it will impact what you sell on your online marketplace, the merchants who sell there, the customers who shop there, and the focus of your online marketplace as a whole. Without a niche to target, your online marketplace will have no focus or direction so it’s very important to find your niche and stick to it throughout the online marketplace building process. Note: Need help finding a niche for your online marketplace? Check out our free downloadable guide of 500 Niches. It lists a variety of niches in a range of different industries and it can help you think outside the box and really focus in on a niche for your online marketplace. With the Amazon’s, Etsy’s, Airbnb’s and eBay’s of the online marketplace world, it can be easy to get wrapped up in thinking about how you’ll scale your online marketplace to service millions of consumers right away. We encourage you not to get caught up in this way of thinking, because it takes a long time to grow an online marketplace like the ones we just mentioned, and you can still build a successful online marketplace without being a giant in your industry. When you’re just starting out building your online marketplace, we suggest focusing on your Minimum Viable Product and creating that. Don’t get caught up in thinking about how you’ll create the perfect online marketplace within your niche, just focus on creating an online marketplace that a small subset of your niche market really believes in, and start from there. By focusing on creating the perfect online marketplace you’ll likely cause yourself to feel overwhelmed in everything you have to do and accomplish to get there, but by zoning in on creating your Minimum Viable Product, you’ll be more likely to stick with your online marketplace idea and built it to fruition. It’s okay not to create a perfect online marketplace right from the get-go. Create something that at least 10 or so users can be interested in and use their feedback and experiences to grow from there. Like we mentioned earlier, other online marketplaces started small too, and so can you. Just like any ecommerce business, starting an online marketplace will take some funds to get going. One of the main advantages of starting an online marketplace, however, is that you actually don’t have to purchase or create an inventory to sell which can be a huge relief off of your startup budget. The Cost of the Platform: Using a hosted online marketplace platform like Sharetribe will require monthly or yearly payments, so factor that into your budget. The Cost of Advertising for Merchants: Even though you don’t provide any inventory to sell on your online marketplace, someone else does! This means you’ll need merchants with products to sell to set up shop on your online marketplace, and when you’re just starting you’re going to need to reach out to a lot of merchants to get some to actually start selling on your site. This means plenty of outreach which likely means you’ll need some cash to spend on advertising. Whether it’s Facebook Ads, Google Ads, ads on platforms where your niche hangs out, influencer advertising, print advertising, etc. it’s likely that you’ll have to spend money on some form of advertising. Cost of Advertising for Customers: Just because you build an online marketplace does not mean that customers will come running, so again, you’ll likely have to spend some money on advertising to get customers to start shopping on your online marketplace. A word of warning, however, when it comes creating a budget for your online marketplace: Don’t spend too much. When you’re just getting started, it can be tempting to pump as much capital as you have available into your online marketplace, but remember that you’re just getting started and it’s going to take some time to grow. Don’t put too much into your platform and advertising before you launch or when you first launch. Put enough in to get started, and then give your online marketplace some time to grow and some time to earn revenue. At the beginning, focus instead on hustling to get free advertising whether it’s through SEO or your own social media, for example, and let your online marketplace start to generate its own revenue before you invest too much more into it. Even if it’s slow growth, it will help to validate your online marketplace idea before you go investing too much money into it which you may not get back if your marketplace idea doesn’t work out in the end. Finally, when it comes to creating an online marketplace, don’t forget to focus on the main outcome of the online marketplace. Ask yourself, what are you aiming to achieve with your online marketplace? What is it that your online marketplace is providing that adds value to those in the niche market it services. The goal of any online marketplace is to connect merchants and customers within a niche to sell or rent goods or services, so think about how that actually begins to look within your online marketplace and how you want to bring that to life. There are several different types of online marketplaces, and although they all run in a similar fashion, there are slight differences to them which can impact the shopping experience, the types of products that are sold, the customers that shop there and the service that the online marketplace promises to fulfill. Some online marketplaces focus on selling physical products only. This means that the merchants create or supply physical products that must be shipped to the customers who purchase them. When you have an online marketplace that sells physical products, customers will receive shipping packages from each merchant they order a product from, which can impact their user experience. It means that they’ll be receiving multiple different packages, which can be confusing for them if they don’t know to expect that. Be upfront with customers who shop on your online marketplace — if it’s a physical product online marketplace — that even though they may be completing one transaction, the products are sourced from individual merchants and the products they’ve ordered will be arriving individually from each separate merchant. Another type of online marketplace that exists are digital product marketplaces. These online marketplaces sell digital products that can be downloaded to computers or smart devices immediately after purchase which means that customers don’t have to wait for their products to be shipped and they won’t be receiving products one-by-one from each separate merchant they order from. An example of a digital marketplace is Creative Market, where designers and creators sell digital assets like stock photos, logo templates, graphic designs and more. We wrote a complete Creative Market Review, and we’ve even rounded up some of Creative Market’s Best Instagram Templates, which we highly recommend checking for your online marketplace. Another type of online marketplace is one that rents or sells property, rooms, event spaces or locations to customers. A great example of this type of online marketplace is Airbnb, which is an online marketplace for property owners to rent out rooms, apartments, houses or properties all over the world. This type of online marketplace comes with its own unique set of challenges, such as government regulations, property insurance, and booking confirmations that must be adhered to and organized in order to be viable and successful. Managing these types of online marketplaces can be complex, so ensure that you know what you’re getting yourself into if you decide to start an online marketplace like this. Other online marketplaces can sell services to their customers, where merchants can rent or sell their own specialties to the marketplace. These types of online marketplaces can provide digital services that can be carried out online, such as website development services, or they can provide services that take place in-person, such as painting and restoration work, for example. Just like all other marketplaces, online marketplaces that provide services aim to connect merchants who have a resource to offer to customers interested in acquiring an asset, so if you’re starting a services type of online marketplace, make sure you focus on building that connection. Starting an online marketplace is slightly different from starting an ecommerce business, so naturally, it comes with its own set of challenges to overcome. The challenges that online marketplace owners face aren’t necessarily deal breakers, in that they shouldn’t hinder you from starting an online marketplace if it’s really something you want to pursue, however, they are things you should be aware of before you actually start building an online business. When you first start an online marketplace, attracting both merchants and customers to use your marketplace is going to be your biggest challenge. Because you’re new, you’re going to have to build trust within merchants to sell on your site and you’re going to have to make sure customers know your marketplace exists so they even think to shop on it. The main issue you’ll face when convincing merchants and customers to use your marketplace is perfectly described by the well-known adage: What came first, the chicken or the egg? In this context, you’ll be asking yourself which comes first, the merchant or the customer? It will be challenging for you to convince merchants to come sell on an online marketplace if there aren’t customers already shopping there, and it won’t make sense to attract customers to your online marketplace if there aren’t any merchants selling their inventory there yet. Consider how you’ll approach this hurdle. The general consensus around this dilemma is actually for online marketplace owners to approach merchants to join their online marketplace first because they have a greater incentive to join the marketplace. Their incentive is to earn more revenue and profit, and if there’s little-to-no risk for them to join the online marketplace, they’ll be more likely to use it to sell their goods or services. By reaching out to suppliers first before attracting customers to your online marketplace, you’ll also build the inventory supply that your marketplace has to offer which is crucial for customers when they start landing on your online marketplace. Without any inventory, there’s no incentive for your customers to shop on your marketplace at all, so secure the goods and services before you start reeling in customers. In order to start finding merchants to sell goods and services on your online marketplace, consider reaching out to merchants who are already selling on online marketplaces! This shows that they’re already comfortable selling on online marketplaces and if you give them a good enough reason to sell on yours too, they might be interested. Be sure to look for merchants that sell products that align with your online marketplace’s focus niche. Sharetribe’s article on How to Build Supply for Your Marketplace can be an invaluable tool to help you attract merchants to your online marketplace when you are first getting started. Building an online marketplace takes time — a lot of time. Because there are usually more moving parts to an online marketplace than there are with ecommerce businesses (like handling multiple different merchants), it can take much more time to build one that runs successfully. If you’re interested in creating an online marketplace, be prepared to have patience with it as it slowly builds and grows into the online marketplace you want it to be. Online marketplaces can only be successful long-term if they solve a real problem for both merchants and customers. If they don’t provide a useful service, they won’t last long. This is why it’s so important when starting your online marketplace to make sure that you validate your idea beforehand so you don’t find yourself months or years later with a failed marketplace because it didn’t provide value to merchants or consumers. Like we mentioned before, take your time building your online marketplace and don’t invest too much capital upfront just in case your online marketplace idea isn’t something that can withstand the test of time. It’s better to grow your marketplace slowly so you can adjust and adapt to merchants’ and consumers’ needs as you go which can result in you creating an online marketplace that provides value to those merchants and consumers and thus, becomes a successful online marketplace long-term. Focus on solving a problem for both the merchants and the consumers, and you’ll be more likely to provide a useful service for both parties. Check out this article from Sharetribe on the Top 3 Reasons Why Marketplaces Fail so you can avoid these situations at all costs. Even if you think you’ve come up with a great idea for an online marketplace, it’s likely that someone else has already thought of it, too. Competition can be a hindrance to starting and growing your online marketplace, however, it shouldn’t completely deter you from pursuing it, either. If there’s an existing online marketplace on the market that would be in direct competition with your marketplace idea, then you have to find a way to compete against them. Try competing on price, selection, quality, choice, the number of merchants, the geographic area or something else that gives your online marketplace an edge over any others. If you aren’t sure whether there are any existing online marketplaces that are in direct competition with your online marketplace idea, then be aware that there probably is someone else also working on the same idea and you will eventually have competition. If this is the case, your only option is to execute your online marketplace idea better or faster than anyone else starting a similar online marketplace, so consider how you can make that happen. Execution is ultimately all that counts, so plan to execute well. Every marketplace needs to earn revenue and profit to survive, so you’ll need to determine a viable strategy to ensure that your marketplace earns the revenue and profits that it needs to last. You need to “own” each transaction which usually means you charge a commission on every transaction you facilitate. This helps you generate revenue for your online marketplace. Don’t pay attention to how many users sign up to your online marketplace, pay attention to how many transactions occur on your online marketplace. Your online marketplace exists to facilitate transactions, and that’s likely how you’re going to be earning your revenue, so that’s the most important metric to keep track of. Think about how you will pay your merchants and how they will earn revenue from providing your online marketplace with inventory. You also need to consider when to move each transactions’ money from the customer to the merchant. It generally makes sense to only transfer the money from the customer to the merchant when you’re sure the customer will be receiving the goods or services they paid for, however, depending on how your online marketplace is set up, knowing when this occurs can be complicated. For great information on financing your online marketplace and everything else that comes along with it, check out this article on How to Design Your Marketplace’s Transaction Flow from Sharetribe’s Marketplace Academy. In addition to everything we’ve discussed thus far on creating and setting up an online marketplace, there are other aspects of growing an online marketplace that are important to consider in order to ensure long-term sustainability and success. Your online marketplace business model will impact how you will earn revenue and profit and how your merchants will earn revenue and profit, as well. It’s a fundamental aspect of every online marketplace and one that you should decide on before you launch. Listing Fee Business Model: By using this business model your online marketplace will charge merchants a fee for listing their good or service on your online marketplace. The listing fee could be based off of a flat rate amount or a percentage of the value of the good or service, and it’s typically used when there’s value in how many listings a merchant has posted on the online marketplace. It’s important that your online marketplace business model is able to balance the best interests of not only the revenue you earn but also the best interests of merchants and customers. Finding that balance can be tricky but when you do it’s worthwhile. 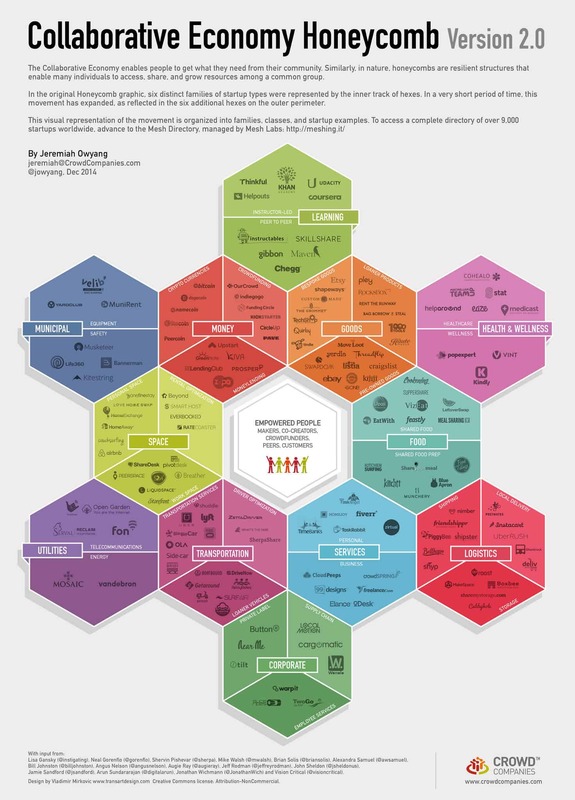 For more in-depth descriptions of each of these business models, refer to Sharetribe’s How to Choose the Right Marketplace Business Model article. A large part of creating a great online marketplace includes creating a great user experience. If users can’t use your online marketplace the way they want to or in a way that helps them find what they’re looking for, then they’ll simply go elsewhere. Have a Smart Search Function: When customers come to your online marketplace with a purpose, a search function is going to be instrumental to their success. Make sure you have a smart search function embedded onto your online marketplace so customers can use it to find exactly what they’re looking for as quickly as possible. Make Your Marketplace Browse-able: Some customers may come to your online marketplace knowing exactly what they’re looking for, while others may not. Customers who aren’t sure what they’re looking for need a way to browse through your marketplace, so make your online marketplace friendly for browsers. This could mean using categories, filters and menus to help browsers navigate around your marketplace. Use Systems: If you’re providing services, in particular, or if your online marketplace is focused more on renting items rather than selling them, you may need to use certain systems to ensure that everything operates smoothly. These types of systems could be calendars, booking systems, maps, etc. and could be essential to how your online marketplace operates. Merchant & Customer Profiles: It’s likely that merchants and customers will need to create profiles on your online marketplace to ensure that they can create listings, access their purchase history, manage their orders, etc. so your online marketplace will need to be equipped to handle these profiles and define how they’re able to interact with one another. Mandatory Listing Information: It will be useful for you to determine upfront what kind of information merchants on your online marketplace will have to include in their listings so it can remain consistent across all merchants. Having consistent information across all merchants will help customers make informed purchasing decisions which can drastically affect their experience on your online marketplace. When it comes to bringing your online marketplace to life, your launch will play a role in how your marketplace continues to progress over the course of its lifetime. 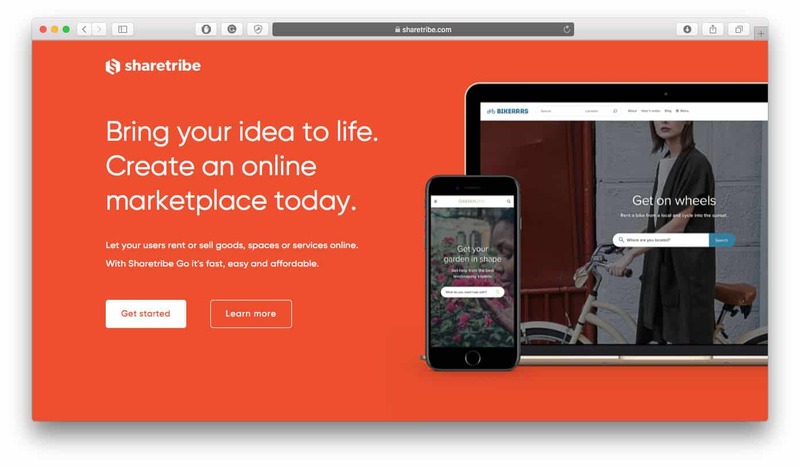 Some best practices mentioned in Sharetribe’s How to Launch Your Marketplace article include utilizing promotion channels like an email list, advertising, press, influencers and online communities such as Product Hunt to get the attention of people who might be interested in what your marketplace has to offer. No matter how you choose to draw attention to your online marketplace when it launches, it’s arguably most important to build trust within each and every user that enters your website as soon as you launch. Trust in your marketplace is ultimately what’s going to make it successful in the long run, so no matter how many people your promotion tactics bring to your website on launch day, focus on building trust within them as they experience your online marketplace. Have Inventory Ready to Sell: Make sure there are products ready for your customers to purchase. You don’t want to be driving visitors all the way to your website with nothing for them to actually buy. Be Transparent: If there is still room for improvement on your marketplace, let customers know that you’re working to make things run more efficiently and that you’re putting in effort behind the scenes to make it the best possible online marketplace experience for them. Customers appreciate transparency, so if you experience any hiccups throughout your launch, be sure to let customers know what’s going on. Be Honest: No matter what your online marketplace promises customers, make sure you deliver on it. Don’t make claims you can’t fully commit to as this will cause customers to lose trust in your online marketplace. Allow Reviews: Customer reviews help all websites build credibility, so leave a place on your online marketplace for customers to leave their thoughts and feedback. Customer reviews are generally non-biased in favor of the brand, so other customers are more likely to trust what they have to say. You may not have any reviews when you first launch but as your brand grows you’ll be able to accept reviews as they come. Note: Need more help launching your online marketplace? Check out our downloadable Ecommerce Launch Checklist to ensure that you cover all your bases. Now that you’ve reached up to this point, you should be well-equipped with the knowledge to start your own online marketplace. Remember that your online marketplace’s niche will be what sets it apart from other marketplaces in the industry and that executing ideas is what really matters to help you stand up to any competition. Focus on getting suppliers for your marketplace first and then instill trust into every visitor that lands on your online marketplace after launch day. Have a good online marketplace idea? Get started!